BJ moved to Colorado Springs in 1986 after his father was transferred to the Air Force Academy and has lived here ever since. As a former UPS driver he is very familiar with Colorado Springs, Fountain, Monument/Palmer Lake, Falcon, Manitou, Security/Widefield and Woodland Park neighborhoods. Playing youth hockey and lacrosse in Colorado from age 4 until 18 also allowed BJ to travel all over the state and proudly call Colorado his beautiful home. 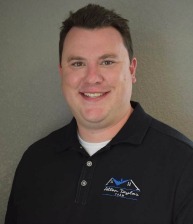 He prides himself on customer service as he has been in the customer service industry his entire professional life, which has been more than 15 years. BJ is eager to get to know each and every one of his clients so that he can provide the very best experience every time someone needs to buy or sell a home. BJ is happily married and has 2 sons. When he is not in the office or with clients he can be found volunteering with his sons lacrosse team, fishing and camping with his family or playing golf. He loves sports and can be found officiating lacrosse games at the youth and high school level as well as working for the Mountain West Conference during football season.